Signature Prints is based in Sydney, Australia, specialising in the design, print and manufacturing of premium textiles, wallpaper, and limited edition art. 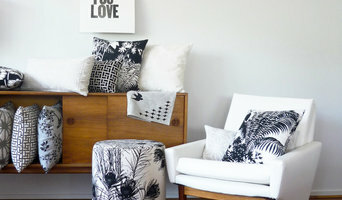 Owned by husband and wife team David and Helen Lennie, Signature Prints has evolved from a cottage industry niche business to a leading international textile company. A born global brand, Signature Prints exports to some twenty three countries around the world. Most notably, we are the proud custodians of the extraordinary Florence Broadhurst design library . We at Signature Prints maintain the standard of excellence that was established by Florence Broadhurst. We are now recognised as a world leader in product design, marketing and branding. We have been recognised many times for our contribution to Australian design. Signature Prints – Home of the Florence Broadhurst library - is now considered to be a “National Treasure”. Our commitment to Florence Broadhurst continues to be identified as putting Australia on the map for international design. We have a showroom! We are situated 5 minutes from the international airport and 10 minutes from the city CBD so come in and visit us-we would love to see you! DuPaint is a family run and operated painting business in Sydney. Started by its founder, Maz Nassimi, in 2006, DuPaint provide effective and practical solutions to all your painting services and decorating needs. Maz and the team sit down with each client to gather a clear understanding of what type of job is expected, which is something many other painting businesses fail to do. Afterall, if a client is unhappy then we feel we haven’t done our job properly. Client satisfaction has always been key to DuPaint’s success. Whether you want a traditional look, modern finish or something ‘out there’ such as a feature wall, metallic paint or cement finish, we are well equipped to handle anything. Attention to detail is one of our many wonderful traits and you can rest assured of a professional finish each and every time. DuPaint will handle any job you can throw at us (interior and exterior) no matter if it is residential, commercial, cafes, bars and restaurants. And rest assured, we won’t leave a mess and will handle your painting needs with a minimum of fuss and disruption to you. Such is our standing within the industry that we are members of the Master Painters of Australia and carry full insurance, public liability and workers compensation for your peace of mind. If you are building or renovating, don’t leave your quality finishes to someone that isn’t qualified. Give Maz a call for a free, no obligation quote. We are professional painters and decorators in Sydney with many years of experience. Our professional team of painting and decorating uses best techniques to accomplish the given project in any circumstances. We believe in efficiency and a standard work process which we’ll definitely provide you. Sydney-based professional painting and decorating company Bloomingood offers high end painting and decorating services including residential, commercial, strata and industrial. Well hung Wallpaper Solutions is Sydney’s most experienced wallpaper installers. We install superior quality wallcoverings for homes, offices, bars, hotels, etc. to the highest standards using state of the art tools and adhesives to achieve a professional wallpaper installation. Timeframe Group is an Award winning specialist that you can trust to transform and maintain your property, cost effectively, securely and on time. 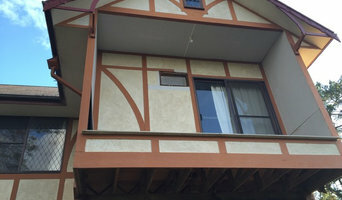 We have earned an excellent reputation in the painting and decorating industry for quality workmanship, project management, and customer service. Timeframe Group work in close with collaboration with our site supervisors and management teams which this means that you, the client need only to deal with one person from start to finish. We are highly experienced in painting the interior and exterior of homes throughout Sydney – from single rooms to multi-storey houses and apartments. Our residential painters in Sydney use the best techniques to get your residential painting job done. Our on-site assessments help us determine the best approach for your home, including the colours that will best suit your style. Interior To get a great painting finish, we know the best processes to follow. Getting a good finish depends on the age of your home, environmental factors, and exposure to cooking and water. The best finishes require filling, gapping and sanding surfaces as well as sealing water marks and repairing cracks ñ we complete these tasks constantly when painting the interiors of our clients homes. See some of our interior painting work below, and request a free quote for interior residential painting here. Exterior There are many things to consider when painting the exterior of your home. We will assess the condition of your home to determine the best process for a long-term durable finish. How we paint your home depends on the surface of your home and exposure to elements, including sun, rain and dampness. We will ensure the best surface preparation to avoid peeling and cracking. Empire Coatings is operating in Sydney and it's surroundings. We pride ourselves on being punctual, neat, courteous, and safety conscious, therefore producing quality work for satisfied customers time after time. Our goal is to not only help you design and help build your dream home, but to make the process easy and enjoyable for you. We are a full-service painting and decorating company with a wide range of experience. We can help you with all phases of designing your new or existing home. In addition to us taking on large commercial and strata jobs, we also enjoy the interaction with all of the home owners who use our residential painting services. Staff working in your home always use precautions to have a safe, clean environment. Your house painting job is professionally managed and supervised, and all staff are fully trained in their craft. We are ready, no matter the size or complexity of the project. We want you to have peace of mind throughout the whole residential painting job. We make sure it is by carefully protecting furniture and flooring, hardware and landscaping, and by leaving each and every project spotless. Our house painting crews are friendly and helpful, they do not smoke or play loud music on site, and they’ll treat you and your home with respect. You can count on our residential painting foreman to keep you informed and to quickly address any concerns that may arise as work progresses. We communicate well in person, by phone text and email! 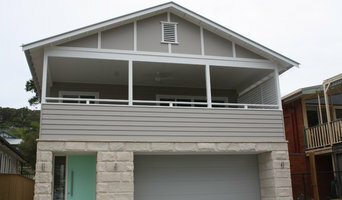 We will never ask for final payment until you are absolutely satisfied with our work on your residential painting job. The health of our painters, the planet, you, and your home is also our priority. Our painting crews adhere to all Australian OHS safety standards and certified to work safely and legally wherever lead paint is present. Let us complete your house painting project! Euro Paint is your leading painting and decorating specialist offering professional painting servicesin Clovelly. With a proven track record of operating on all forms of assignments, we pride ourselves on offering a level of service that looks after the needs of our clients. Our team of best painters in Clovelly will take the time to get the assignment completed with your specific needs in mind, so you have assured the right advice and a standard finish every time. Our client-oriented approach has been how we have been able to build up a strong and prominent reputation in the area, and we acknowledge the support we have received over the years from our loyal clients. Whether it is for construction finishing work or office or home renovation, our team of commercial and residential painters are knowledgeable, professionals, ready to work with you to create and design the theme and right feel for your surface finishing the project. For whatsoever your requirements for exterior or interior painters, Clovelly businesses and residences can turn to our conscientious and helpful painters. We have been exclusively in the business for years, and in that time, have built up a name and prominence in Clovelly as a trustworthy partner to our customers. If we are yet to have worked with you, we inspire you to contact our professionals and take a look at some of the commercial, residential, and strata work we have commenced over the past few years. Hornsby Painting Services provides affordable commercial and residential painting services for businesses, houses, offices, apartments and more. Our professional painting services include; full interior wall and ceiling damage repair, wall and ceiling restoration, full interior and exterior high quality professional painting and decorating services. Our passion is what makes us one of the best painting companies around, we enjoy what we do and work hard to keep you happy, we listen to you and your needs and provide assistance and consulting to help you get the best possible painting results and at fair, affordable and competitive prices. We use high quality Dulux paint and the best painting equipment to ensure that we get the best possible quality finish, our services include sandblasting and chemical striping bad paint, repairing and restoring cracks and damaged walls and repainting, timber staining doors, floors and frames, specialty finishes and texture coating, we also do colour matching and consulting and help you to decide on what will give the best results. We are looking forward to helping you with all of your painting needs, call us today on 0404 524 959. With over 20 years’ experience in the painting and decorating industry, Eddie Art Design Solution team provide high quality painting, painting products, materials and a variety of techniques to provide you with outstanding results on your project. We provide interior and exterior painting and decorating services including colour consultancy. We are very experienced in full property renovations, heritage and restoration work to providing kitchen and bathroom renovations. We will provide your house, office or industrial premises with outstanding customer service. We are reliable and flexible to ensure your project gets delivered in a timely manner. We provide services at competitive prices. We take pride in our work and provide high quality detailing to ensure your renovation project is transformed. If you want the best call us for a free quotation. Rescom Painting & Decorating is a family run business providing top quality painting and decorating services in the Sydney area. Rescom delivers projects for residential, commercial and strata clients. You may think "what makes us different to other guys in the industry"?. See a few points below why to choose us. Client satisfaction - At Rescom we focus on client satisfaction and are committed to deliver excellent quality work. There are too many Tradies in the industry who do a slap and dash and unfortunately it’s the client who looses time and money when issues need to be fixed - sometimes several times. At Rescom we make sure you love the outcome of our work first time round. 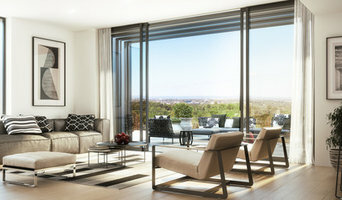 With Wallpaper Installation Sydney you`ll get 1st class service with over 16 years of experience. It doesn't matter if you want to beautify your home, create a cooler office or a better buying experience for your customers in your shop. We believe that the right wallpaper can have a huge impact on our perceptions and mood when we enter a room. Our goal is therefore to help you to be excited every time you see your wall.